Learn more about internships and careers at the Air Force Research Laboratory. 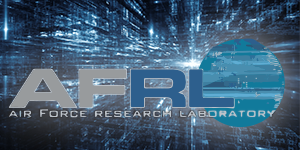 AFRL Scientists will lead us on tours of various laboratory facilitates, includingan anechoic chamber, lasers, and optics. Free box lunch will be provided. After lunch, we will attend research presentations by AFRL Scientists and Summer Scholars. This event is free for UNM undergraduates. Specific coursework or prior work experience is not necessary. This event is especially great for first- and second-year students who are interested in exploring different STEM disciplines and learning more about student research/internships. We can only take US citizens on this trip. You will work with Tara Hackel and AFRL Staff to obtain Building Passes 3 weeks prior to the event. Students will need a government-issued photo ID, such as a driver's license, to verify citizenship. Please contact Tara Hackel with any questions related to the event at tshackel@unm.edu or 505-277-0417.